Who was Entrepreneur of the Year 2017? The Women in IT Awards, the world’s largest technology diversity event, recently revealed the winners of its 2017 programme including ‘Entrepreneur of the Year’ in front of 1,000 business and technology leaders. 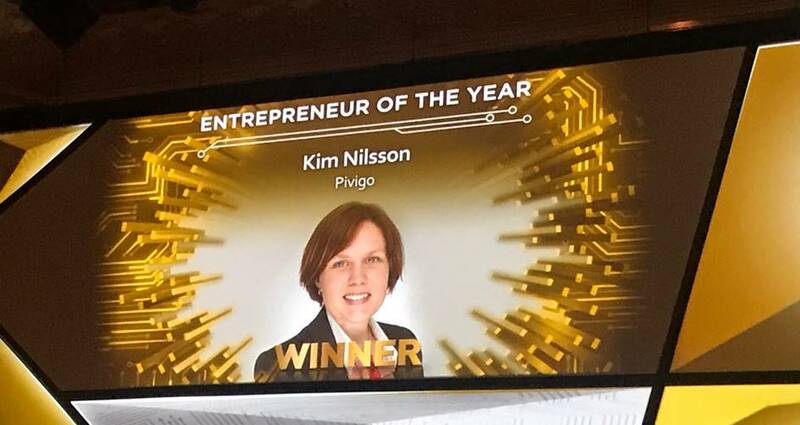 It came as no surprise to us that Dr Kim Nilsson, founder of Pivigo, was ‘Entrepreneur of the Year’. 18 months ago, I reported that data science marketplace, Pivigo, had closed its latest funding round (£300k through Angel Investment Network) off the back of some impressive growth. 6 months ago, I reported that Pivigo was one of the 15 fastest growing female-founded UK tech companies selected to represent the UK government in a link building initiative with Silicon Valley and the US tech scene. (The lowest growth rate of the 15 companies selected was 118% annually!). Following a career in academia (including work on the Hubble Space Telescope), Dr Kim Nilsson has walked a gilded path since founding Pivigo in 2013. Pivigo has closed numerous funding rounds to propel its impressive growth – it is now the world’s largest community of data scientists. This latest accolade came at the Women in IT awards, an event aimed at celebrating diversity and inclusion in the tech industry, hosted by Maggie Philbin OBE and Martha Lane Fox. To be chosen as the winner in a highly competitive category is great validation for the work we do at Pivigo, innovating and disrupting an exciting industry. On behalf of the team at Angel Investment Network, I would like to extend our warmest congratulations to Kim and the team. If you’re a business looking to leverage the power of its data or an individual looking to build your career in data science, visit Pivigo to find out more.